I love Diana Rigg completely out of character - chewing gum, dancing to loud pop music and so on. The leads had a great time and it shows. And of course, there's the kiss. 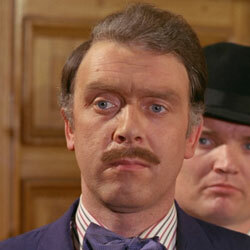 Freddie Jones and Patricia Haines are great, even if Freddie runs funnily. 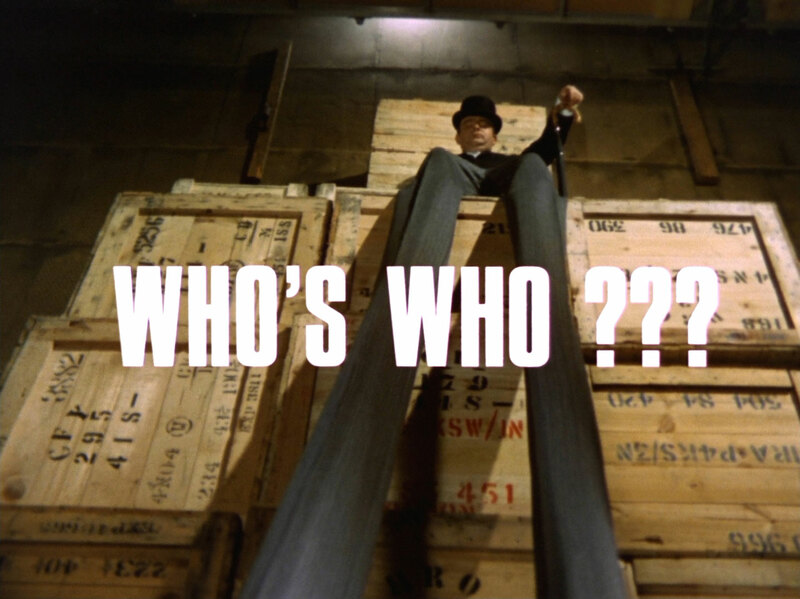 Hooper is murdered in a warehouse by two enemy agents who plan to capture the Avengers. 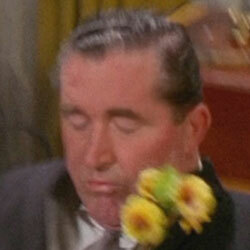 Steed is trapped at Hi-Limba Products and has his brain swapped with that of Basil. 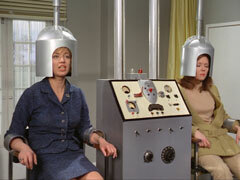 Basil - looking like Steed - lures Mrs Peel there and she is also switched. 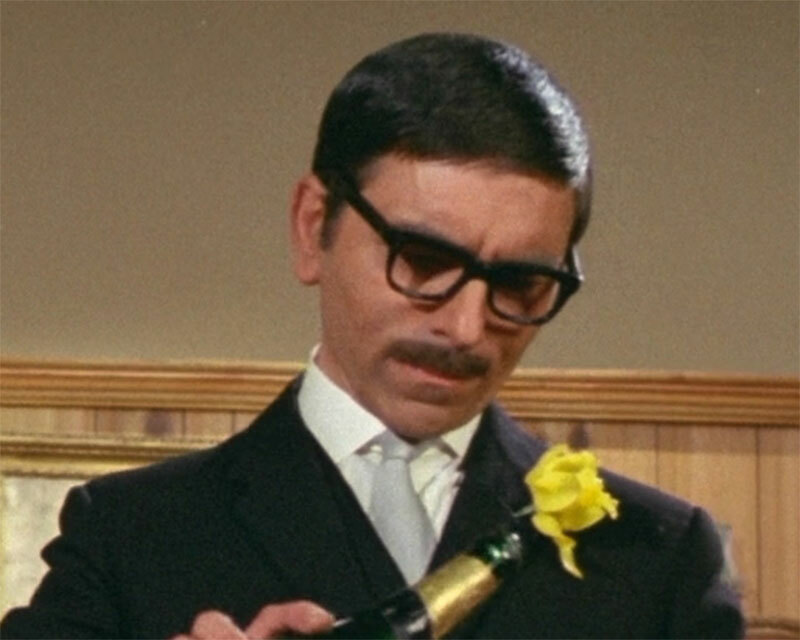 Lola and Basil then proceed to infiltrate Floral - a secret British department - killing bloom after bloom of the department, and drinking Steed's best champagne. 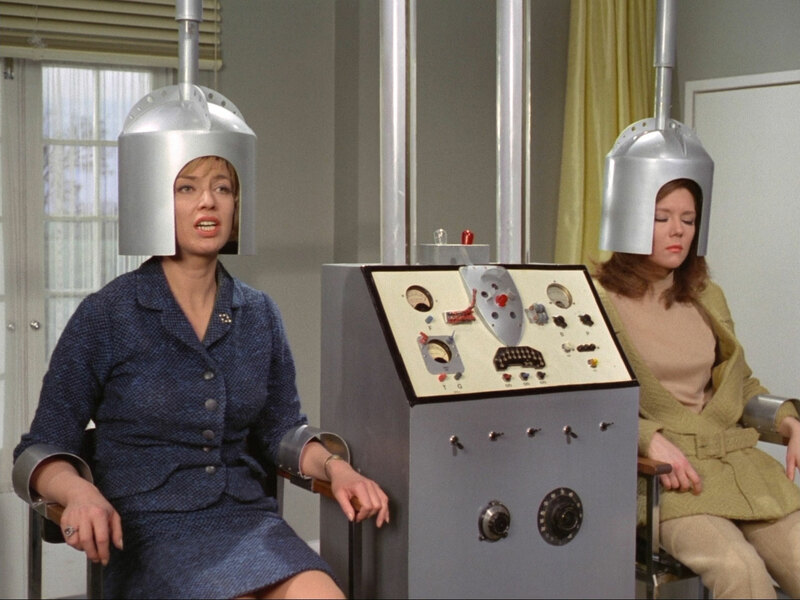 Trapped in other people's bodies, Steed and Emma are arrested by the department, then escape to find Krelmar and his machine so as to reverse the process. Switched back just before Major B forces the door, the Avengers seem still unsure who they are. 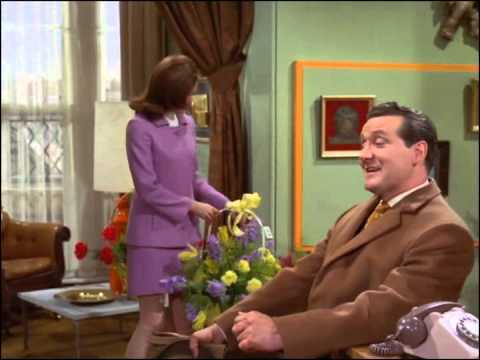 It being Mr's Peel's birthday, her apartment is full of flowers from the grateful surviving agents, and Steed plans a surprise weekend in Paris... but finds that Emma has already packed. caramel belted coat (semi-quilted, long lapels), worn with the items below. 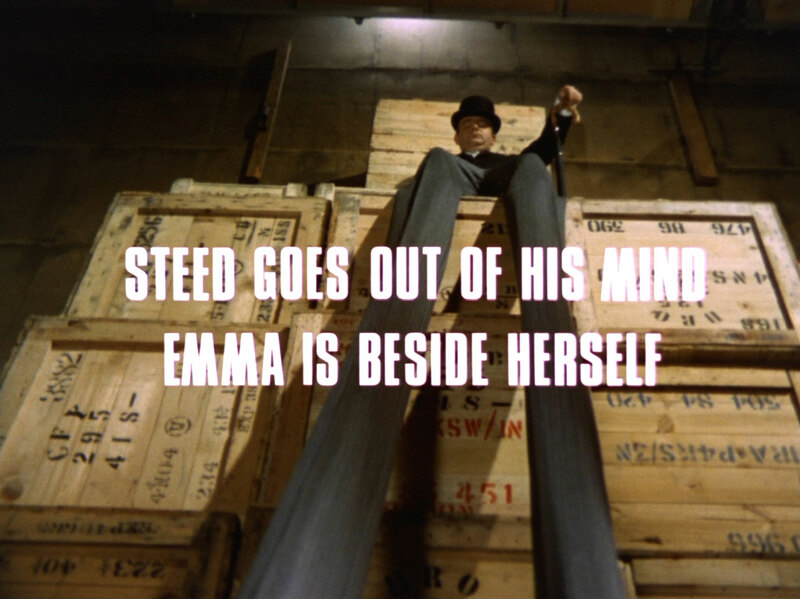 3:00 - The set-up to bring Steed & Mrs Peel to the warehouse is an in-joke. It's the logo used on "The Avengers" scripts and location signboards of the time - a revolver with a rose coming out of the barrel. 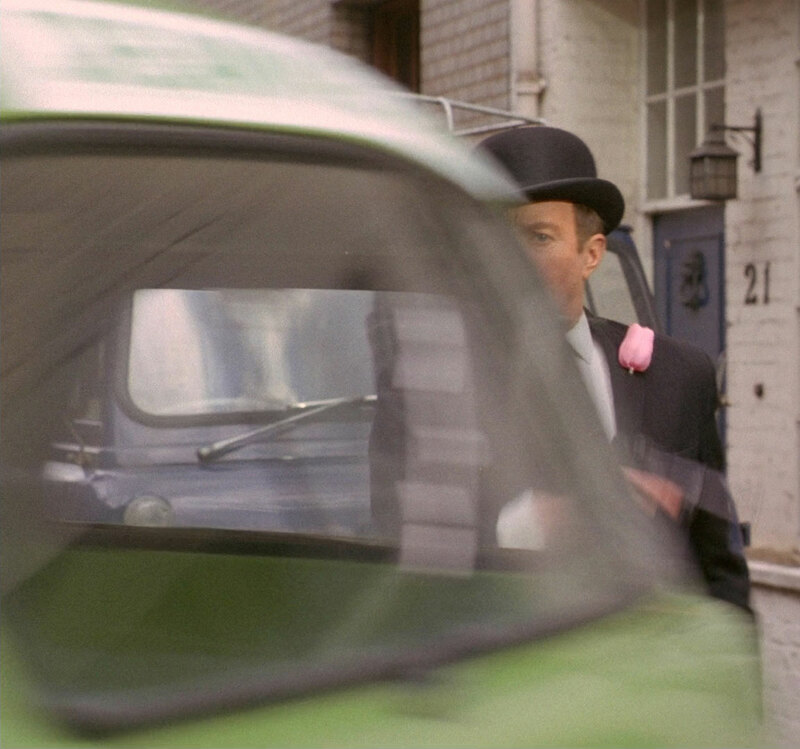 So when Basil says, "If that doesn't bring Steed and Mrs Peel, nothing will", he's referring to the logo being used on the signs used to direct cast and crew to a location shoot. 3:54 - Steed utters that cliché again: "Hooper, he's one of our best agents". 4:10 - Emma says, "It's crimson glory, won first prize at the Chelsea Flower Show" - but it's a plastic rose! 5:26 / 7:53 - >Recognise the stilt shop? It's the same prefab. set as used for the station in A Funny Thing Happened On The Way To The Station. 8:45 - Added creepiness from Krelmar: "Please, we experimented in the war! We had unlimited guinea pigs; we lost many but at last it is perfected." 16:35 - The "Important announcement" explaining the swapped bodies to viewers tuning in late, a parody of community information films, is shown. 18:37 et passim. 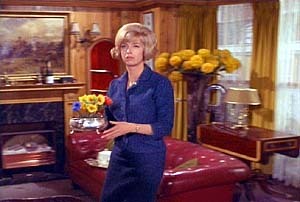 - Major 'B' has a row of vases across the front of his desk, representing the agents of FLORAL. 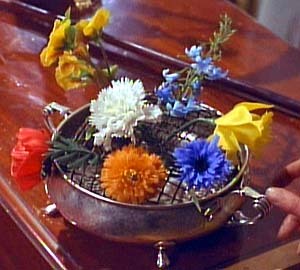 Tulip - Carnation - Daffodil - [empty vase: Rose] - Cornflower - Buttercup - Marigold - Lily - Pansy - Poppy - Daisy - Bluebell. 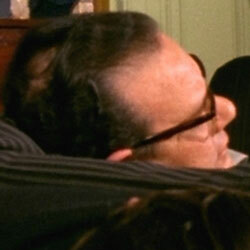 20:05 - Peter Reynolds is wearing a very obvious wig. 22:10 - Was there an edit made here? 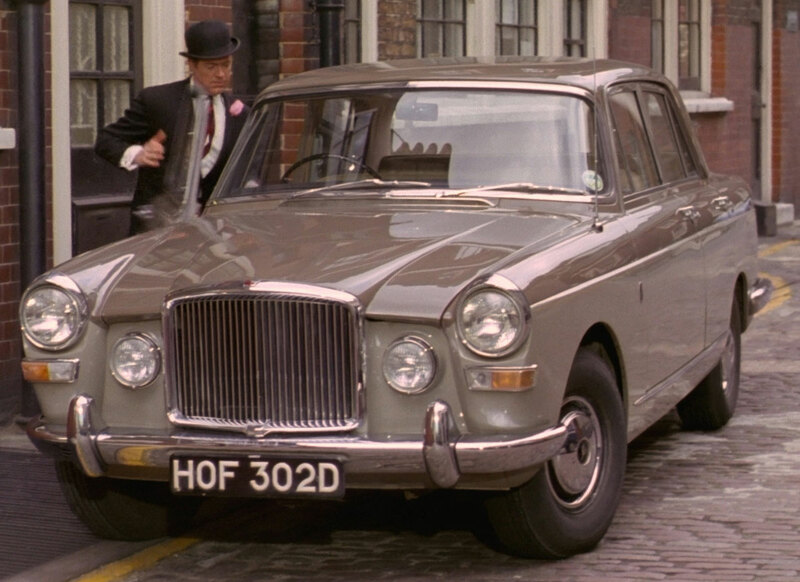 We suddenly cut to Steed saying, "True, but unfortunately when he left..."
22:55 - Basil in Steed's body could drive the Bentley to Hi-Limba (13:16) unremarked by Mrs Peel, but Steed in Basil's body was tested with being able to start the Bentley by Mrs Peel in Lola's... of course, Basil might have been able to drive it easily, or Emma had yet to become suspicious enough to notice. 23:15 - Lola is dancing to some hokey Laurie Johnson jazz, but the album cover on top of the record player is for "Africa speaks, America answers" - Guy Warren with Red Saunders Orchestra under direction of Gene Esposito (Brunswick 1956, LAT 8237 - the UK release). 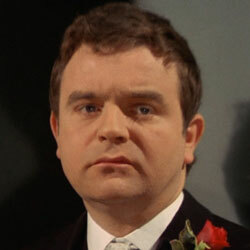 23:22-24:00 - The major writer and teleplay writer/arranger for The Avengers, Philip Levene, appears on screen in this episode as Daffodil; definitely more a writer than an actor, he's a bit wooden in front of the camera! 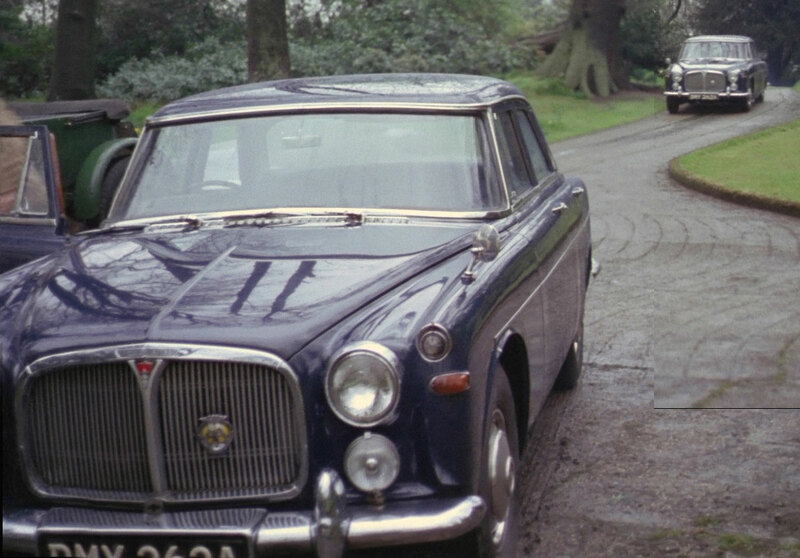 24:07 - There are stand-ins in the Bentley in the driving scene. 26:19 - The "Very Important announcement" explaining the swapped bodies to viewers tuning in late, another parody of community information films, is shown. 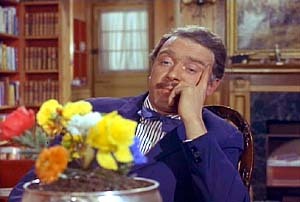 26:43 - The close-up of Freddie Jones after the "Very Important Announcement" is completely out of focus, the focus is on the handcuffs at the beginning, and then on the mid-shot of Patricia Haines. 27:46 - Flustered by his interrogation of Basil and Lola faltering, Major B declares, "I'm Head of Intelligence, do you take me for a perfect idiot?" Emma (in Lola's body) replies, "No-one's perfect." 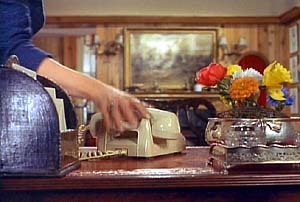 31:27 - "Ah, my best bowler's here, that's one thing." 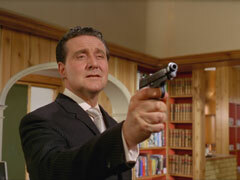 Only it's not one of Steed's! 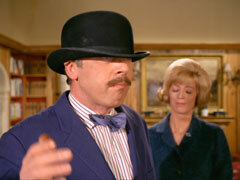 The lining is red, like Tulip's bowler, whereas Steed's bowlers always have the white silk of Herbert Johnson & Son. Freddie Jones probably has the same size head as Macnee so he had to wear Peter Reynolds' hat instead. Bluebell - Daffodil - Cornflower - Marigold - Poppy - Pansy, with a white Carnation in the middle. 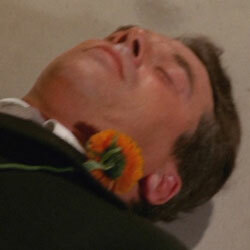 Cornflower - Daffodil - Marigold - Poppy - Pansy, with a white Carnation in the middle. 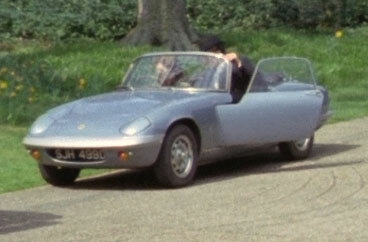 32:26 - Why didn't Lola realise the 'phone call was Steed and Emma checking their whereabouts? 34:40 -To reinforce the Continuity error with the flowers, when Tulip counts the bodies in the storeroom, he definitely counts six. 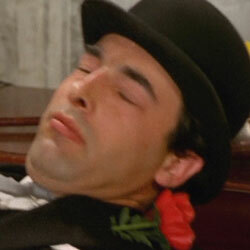 (And if anyone can identify the two men playing corpses in Steed's storeroom, I'd be most grateful - they are obviously supposed to be Carnation and Cornflower. 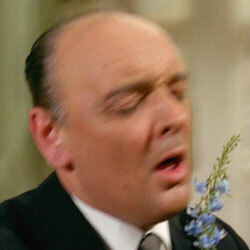 Similarly, if anyone can name the men playing Poppy and Pansy, that'd be great too. 37:09 - The bottle of pills gives away the doctor's address: Dr V. Krelmar The Manor House, Hambledon. 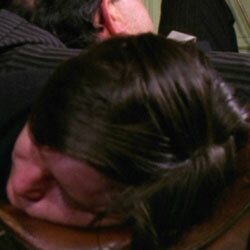 43:35 - There's a stunt double - maybe Joe Dunne - in this scene. 43:53 - There's another double in the long shot. 46:47 - The man who had been standing at door is now right at the back - he must be nervous of the Major's shooting skills! 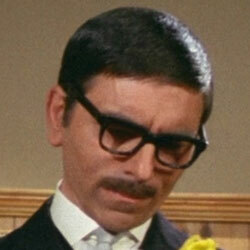 This episode is a cross between homage and parody of the Michael Caine classic, The Ipcress File. Col. H.L. 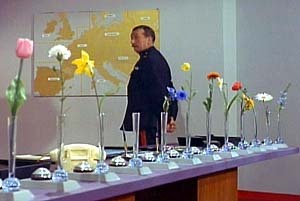 Ross had a single flower perched upright on its stem on his desk in the film, and Major 'B' has a dozen of them - see below. 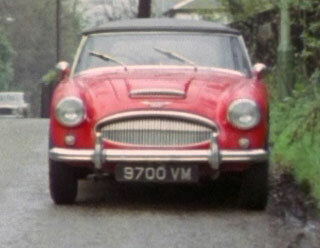 Also Major 'B' is similar in bearing and appearance to Nigel Green's Major Dalby in the film [dull - B, geddit?] and has the air of a "passed over major" about him too. It should be noted that Who's Who??? is the last episode to have the subtitles put onto the master tapes. All subtitles from hereon are technically unofficial, as they were never used. 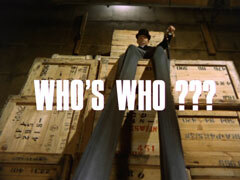 The Australian broadcast master of Who's Who??? 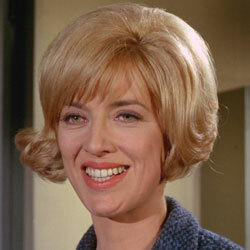 does not have a Mrs Peel... We're Needed scene, the first in the series to not have one. 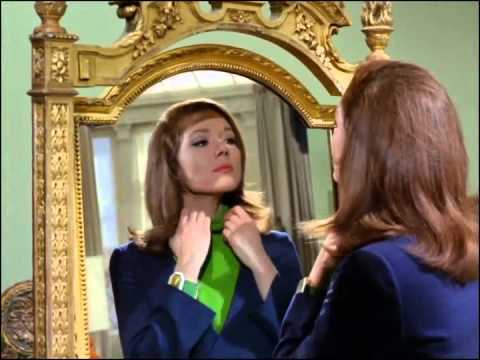 The original print, however, has a brief (almost after-thought) scene, Steed taking Mrs Peel's place at her mirror. The story goes that the producers were told to drop these elements from the show by the American network, who didn't like them and wanted more time for advertisements. Where I have listed two sets of timecodes, the first is from the 2009-11 Optimum Releasing/Studio Canal DVD sets, any other timecodes are from the A&E and Contender DVD sets from a decade beforehand. The new releases have been remastered and their frame rate has been changed, resulting in a shorter running time. However, the picture quality has increased markedly. I assume this is because they used a simple 2:2 pulldown (24 @ 25) when converting from the original film masters (film runs at 24 frames per second, while PAL runs at 25fps, the new DVDs are in PAL format). This pulldown was also the cause of audio errors on many episodes, especially for Series 5, as the audio sped up to match the new rate (4% faster), rather than being properly pitch-shifted. Checking the dialogue sheets, which list the feet and frames of the reels, it looks like the speed change is around 5.04%, so there may be some cuts as well - probably from around the commercial breaks and ends of reels, as they amount to about 25 seconds. All my assumptions are based on the episodes having been filmed on standard 35mm film, which has 16 frames per foot and runs at 24 frames per second, so a minute of footage uses 90 feet of film (1,440 frames). These audio errors have been corrected in the currently available DVDs, but the 2:2 pulldown remains. There is also the addition of a Studio Canal lead-in, converted to black and white to match the episode for Series Four, but colour for Series Five, adding an extra 18 or 19 seconds to the runnning time and making it harder to match timecodes with previous releases. 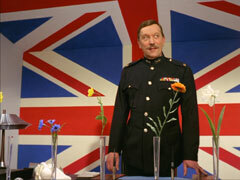 It's annoying that it has been slapped on every single episode, Series 1-3 didn't suffer this indignity. The previous Contender and A&E DVD releases didn't seem to suffer from these problems, so I assume they either used soft telecine and preserved the original 24fps rate of the film (my preferred option in DVDs) or they used 24 @ 25 pulldown (2:2:2:2:2:2:2:2:2:2:2:3 Euro pull-down). Thankfully, the new blu ray releases for series 4-6 appear to use native 24fps with soft telecine so the running times and pitch all seem to be correct again along with a much grreatly improved picture quality, most notably in the Tara King episodes which are finally back to their original glory.